Our template design philosophy is to ensure tight and seamless integration with the Joomla template, where the CSS styling on the Joomla template is inherited as much as possible within the JomSocial template, e.g. headings, font colors / sizes, link hover behavior, etc. However, there are much more areas that can not be styled with Joomla Template CSS because there is no appropriate selector for respective element, and most of the layout needs to be styled through own component CSS. Before you begin customizing the JomSocial template, identify your overall objective of the customization work that needs to be done. If your goal is to perform light customization on certain parts of JomSocial, this tutorial is right for you. If you intend to do a complete makeover on JomSocial, we recommend that you read our Creating JomSocial Template guide. 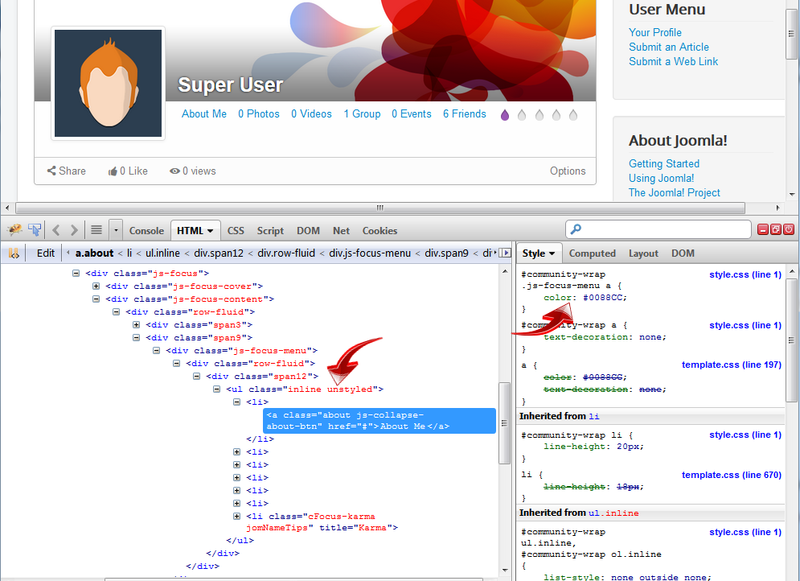 Most users' first intuition is to edit the JomSocial template files directly. Although this will work, we generally do not recommend editing the template files directly. This is because each time you upgrade to a newer version of JomSocial, these template files will be overwritten and you will lose your modifications. The faster, safer way to customize your JomSocial template is to use the Joomla output override feature, that our component supports. Before you can start customizing, you will need to create an Override Folder for JomSocial Component. What this means, is that if you select the default template in JomSocial Template Settings the override will override the default template. If you select any other template to be used as your JomSocial template, the override folder will override that one. 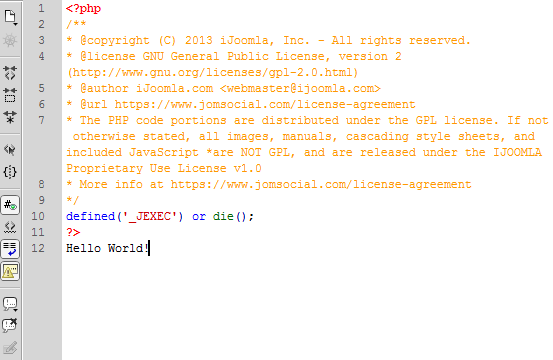 Remember, Joomla override can override only active output. It does not know the difference between JomSocaial Templates and at any given moment, you can have only one override that will always override the selected JomSocial template. 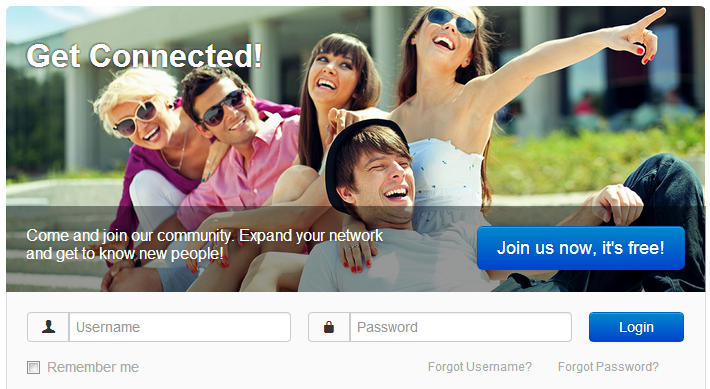 The most common area that users would like to modify is the "Get Connected" area of the JomSocial template. You can now start editing the override file and apply your changes. Once saved, the override will take effect, no matter what JomSocial template you have set JomSocial to use. At this point you should figure out that Joomla override folder always override the active component output. Regardless of what JomSocial template you use in JomSocial Template configuration. Similarly as you do with files, you can also override the content of other folders within JomSocial template. Override always follow the structure of the template that has been overriden, so our override file will e.
The drawback of this override is that CSS stylesheets which originally came with this file will be lost. In other words, if you put blank style.css file there, preparing the customization, the entire JomSocial component will lose all of the styling. Ofcourse, you could just copy the entire style.css file from default folder and start modifying it, but then you are not doing yourself a favor, because it will be hard to maintain it later. 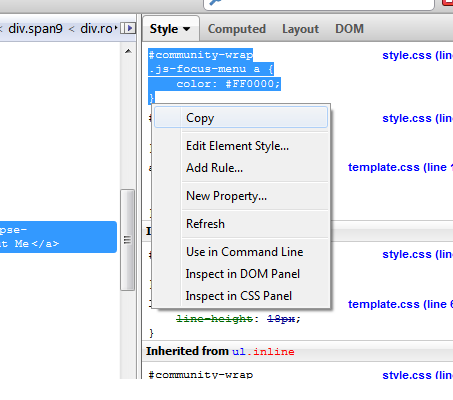 This will import all JomSocial styles from default style.css file and you are set to modify your override. Using Firebug, identify the element you want to change styling for by right clicking on it, then pressing "Inspect Element with Firebug"
Success???!! No! 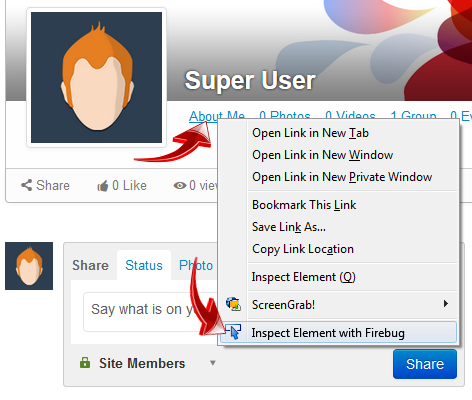 It is only changed on the Firebug window. You need to apply it to the override. Save it and refresh the profile page. The links will now be red.